Since its release, our All About Her box has consistently been a bestseller. Built entirely on client feedback and featuring The Womanizer- a product every woman should have in her collection- this experience is one we can recommend without hesitation for any couple that enjoys sensual experiences and wants to spend a night savoring a host of pleasurable sensations...and each other. 1) Great value- the box includes The Womanizer (a mindblowingly-amazing product), gorgeous lingerie, the Kama Sutra Weekender kit, our instruction cards, packaging and shipping....for the price of The Womanizer alone. You literally can not find a better deal if The Womanizer is a product you've got your eye on. 2) Creative scenario- the role cards set up a complete romantic evening, including ideas for using some household items in new sensual ways. 3) Easy to do: This box can be done in the privacy of your bedroom (or can pack down easily for travel) and requires minimal set-up. Though, you may want to pick up roses and nutella. :) Oh, and allow a little bit of time for charging before use. 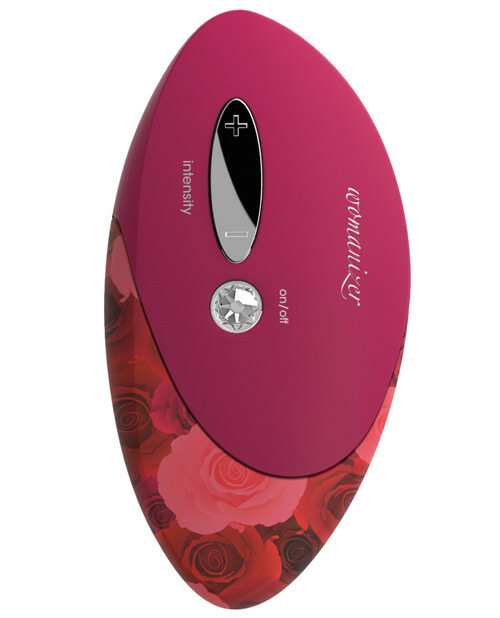 In Platinum, choose from 5 different colors and in Classic, you'll receive the gorgeous Womanizer Classic in deep purple.